Anthony Copeman created an animated YouTube series aimed at teaching millennials about personal finances in an innovative, fresh way. When Anthony Copeman was in grade school, his grandmother taught him how to make bank deposits, withdrawals, and budgets, and how to write a check, sparking a fascination with money. At Temple University, he turned those lessons into a lifestyle. $hares presents personal-finance knowledge for those who traditionally may not have had access to financial advisers. On the flip side, the show aims to be a solution to minority underrepresentation in the financial realm. The series allows millennials of color to see themselves and their experiences reflected and represented in a fresh way. “I really try to push the envelope with $hares, and make sure that it speaks to millennials,” Copeman said. $hares is a digital animated YouTube series that teaches millennials of color about money mindsets and habits, budgets, savings, debt and credit management in a way that’s "innovative, relevant and relatable to the millennial culture,” said Creator Anthony Copeman. So for them, counting and managing coins can be crucial for survival. Hundreds of personal-finance blogs, podcasts, and other multimedia platforms focused on millennials achieving financial freedom have blossomed on the digital scene, making Copeman part of a larger trend of millennial-created and -focused platforms as a solution to daunting financial circumstances. Data are sparse on how many people are directly helped by digital financial platforms. But some personal finance influencers hear frequent anecdotes from people about how platforms have helped them to better their finances. Each day, Erin Lowry said, she gets tweets, emails, and direct messages from people who tell her that Broke Millennial, the personal-finance brand she has built that includes a website, books, and videos, has motivated them or changed their mindset. For Copeman, $hares is another step on a long path to helping young adults manage and make sense of their finances. Nine years ago, he moved from his native New York to Philadelphia to attend Temple. Taking leadership roles in campus organizations, he focused on creating ways to serve local communities — and help raise money for them. Shortly before graduating with a degree in accounting in 2014, he started a nonprofit called “Backyard Business” to help inner-city youths build businesses in their communities to help the community and its residents. But one day he thought, “How the heck am I teaching someone, or trying to inspire someone to create a business in their community, if I don’t have one of my own?” Copeman said. So in 2017 he launched Financial Lituation, a digital financial literacy brand designed to give youths the tools to build wealth and “reimagine their freedom.” Though the site hosts a blog with tons of free advice, Copeman also plugs his personal-finance services, from consultation calls to plans to tackle debt and rein in spending. $hares launched on YouTube about six months ago, and now offers more than 30 short videos. Copeman’s premiere episode is a six-minute casual conversation among four 20-somethings that covers growing up with less and their parents’ money-management skills. Natasha Abellard, 26, is writer and executive producer of $hares, a new animated YouTube series that teaches millennials of color about money. The first episode garnered hundreds of views between YouTube and Instagram, where $hares has more than 1,100 followers. The Instagram page can get up to 11,000 impressions weekly and hundreds of profile visits each day. Most are millennials. So far, Copeman said, he’s invested $6,000 into $hares for illustrations, animation, character voices, and studio time. Eventually, he wants to monetize the brand by releasing merchandise and placing video advertisements. One of his goals, he said, is to build a curriculum for Philadelphia schools to teach about personal finance using $hares characters. For those in their late teens and 20s, the show “is a good entry point for them and money,” says Jamila Souffrant, founder of the Journey to Launch personal-finance platform. She thought millennials of color would particularly be struck by the characters, and the way they speak and dress. 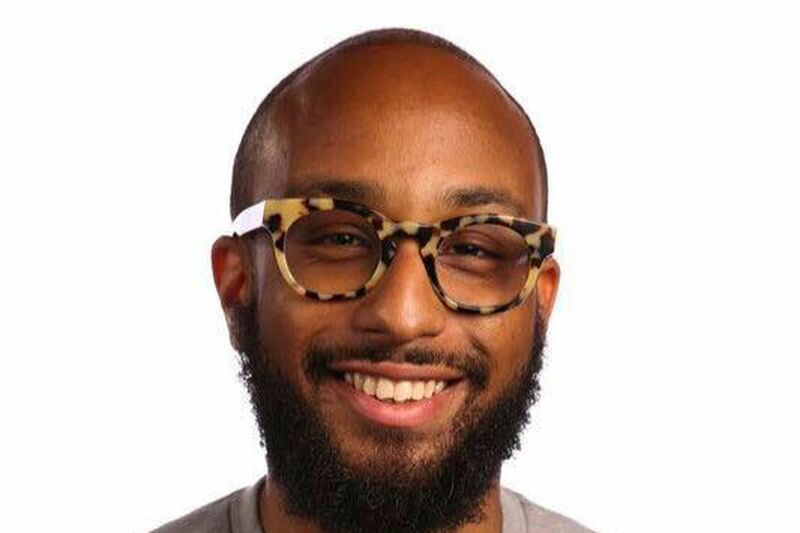 “I felt like it was definitely something that would resonate,” said Souffrant, whose brand teaches foundations of budgeting, investing, and what financial independence actually is. Souffrant is a millennial, too, now 35. She said it’s important to have people of color teach personal finance because without seeing someone up close who looks like you attain financial freedom, “it’s hard to envision” for yourself.